Now your dog can do the biting with this Plush Flea toy! It is the perfect way for your pup to get revenge on those annoying pests! This toy is a soft, silky plush material that is great for teething puppies and dogs of all ages as a chew toy. 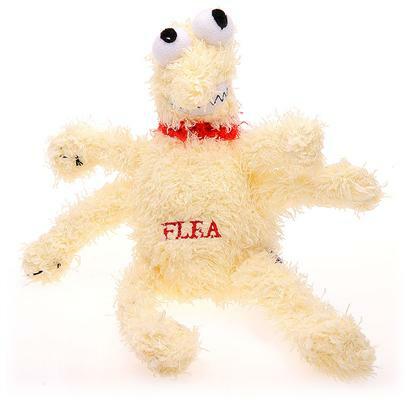 The Plush Flea has 6 legs perfect for shaking, and tug wars with your pet. Not only will pet parents enjoy a game of tug o' war with their pet, but this silly toy has a squeaker inside that will keep your pet occupied for hours. The squeaker makes silly noises that your pet can't resist.